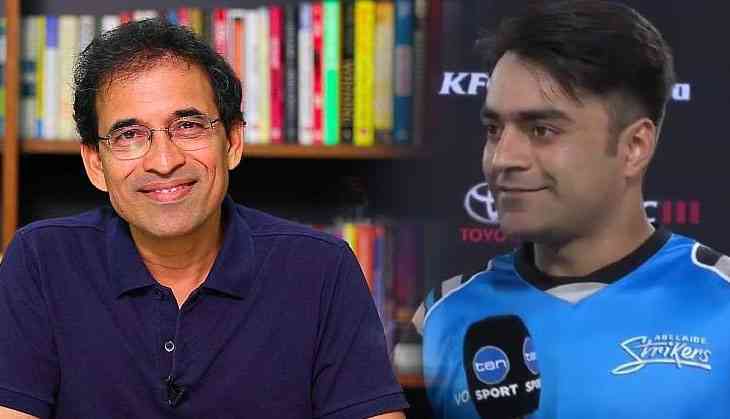 From all corners from the earth, praise showered in for Afghanistan Magician Rashid Khan including Indian commentator Harsha Bhogle, who tweeted, "Meanwhile @rashidkhan_19 has defended 9 off the last over to give Afghanistan a clean sweep over Bangladesh. Amazing result for Afghanistan and further proof of Rashid's phenomenal development." Bro, are you serious? Dude, @bhogleharsha sir is like more than 20 years older than Kohli, Raina and even Dhoni. He is still older than Sachin, Dravid and Saurav. Though, bro sounds cool but thats awkward. But Mr Bhogle is a legend and has deeper understanding of cricket than u.
Bangladesh were well on the way to register thier victory after senior players Mushfiqur Rahim (46 off 37) and Mahmudullah (45* off 38) together managed to score 84 runs on the board with five wickets down but Rashid Khan single handedly turned the game upside down by defending nine runs in the the final over. Rashid bagged eight wickets in the three-match series with an exceptional economy of 4.45, averaging 6.12.